ACS artist Michael Craig-Martin has coordinated this year's wonderful - and colourful! - Royal Academy Summer Exhibition. 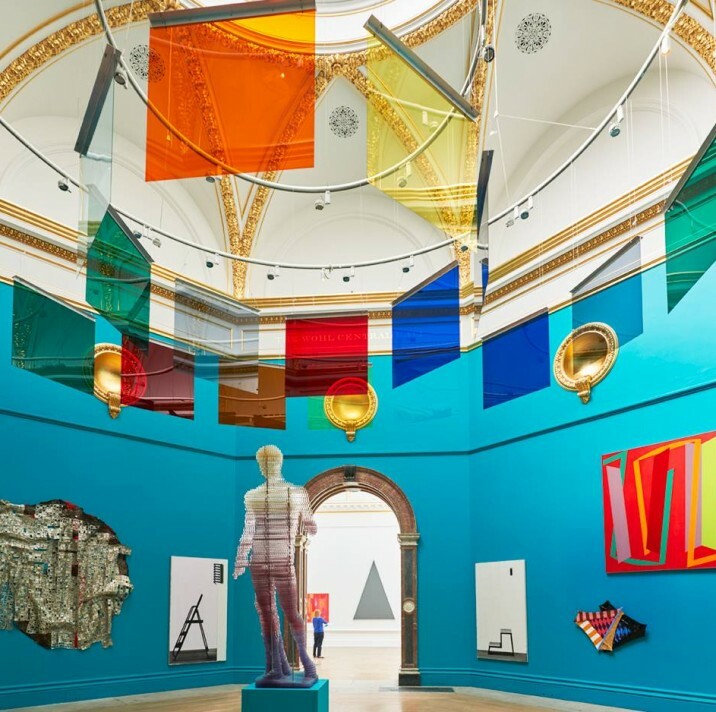 For 247 years the Summer Exhibition has promised audiences a snapshot of the finest contemporary art in Britain - and this year Michael Craig-Martin has captured one of the most vibrant, bold and colourful images of art today. A leading artist and beloved teacher who nurtured the talents of Sarah Lucas and Damien Hirst among others, his distinctive vision has ensured that a brilliant variety of new work by established and emerging artists alike - including work by ACS artist Susan Wilson. With over 1,200 works arranged in the hallowed halls of the RA, whose walls are resplendent in neon pink and bright turquoise this year, Craig-Martin has succeeded in organising one of the most celebrated Summer Exhibitions in recent years. For more information on this year’s Summer Exhibition, vist the Royal Academy website here.